BMW India has announced that it will increase prices of its cars by 4 per cent come January 2019. This price increase will affect its locally produced range of cars which include the BMW 3 Series, the BMW 3 Series GT, the BMW 5 Series, the BMW 6 Series GT, the BMW 7 Series, the BMW X1, the BMW X3, the BMW X5 and the MINI Countryman. The company's more niche offerings are available as CBUs here. 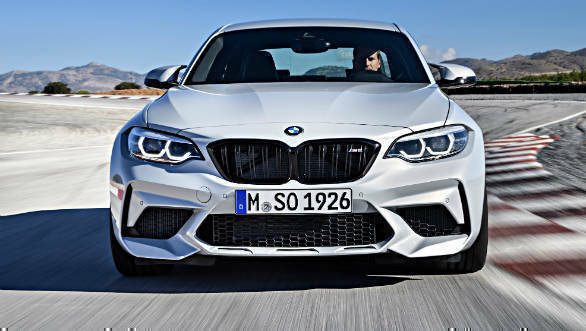 These are the BMW X6, the BMW Z4, the BMW M2 Competition, the BMW M3/M4, the BMW M5, the BMW X5 M, the BMW X6 M and the BMW i8. BMW India is headquartered out of Gurgaon but operates a manufacturing plant in Chennai, a parts warehouse in Mumbai, and a training centre in Gurgaon NCR. It sells its cars through 44 dealerships. unmatched levels of customer centricity. From January 1, 2019, BMW India will increase the prices of its cars by up to 4 per cent. BMW India will continue to present an extremely attractive value to its customers through pioneering products, best-in-class service experience and comprehensive financial solutions and offers from BMW India Financial Services.